Priene on the Aegean coast of Turkey, between the popular holiday resorts of Kusadasi and Altinkum was an ancient Greek city that belonged to the Ionian empire. It was also a member of the Ionian league that was a confederation of 12 cities, entrusted with making important decisions of the time, perhaps viewed as one of the earliest forms of Government. Famed for its Hellenistic architecture, it was originally built on the coastal line but over time, the geography and landscape changed forcing it to suffer economically as sea trade diminished. These days, it stands in the middle of a fertile plain and is a popular tourist attraction. Gods and goddesses are the subject of Greek mythology and in ancient times, pieces of land were allocated as places of worship to them. 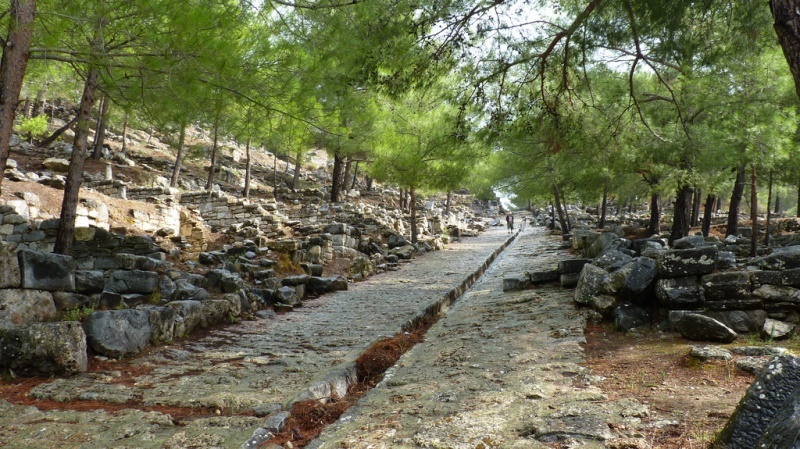 These pieces of land are called temenos and in Priene, a temenos in worship of Zeus can be found to the east of Agora. This piece of land was deemed sacred and superior to its neighboring lands and is devoted solely to give honor to the god of sky and of all Olympian gods, Zeus. To be able to visit the Temenos of Zeus Olympios is a one of a kind experience; it is like giving praise to a god that we only learned about in our ancient literature classes. Priene boasts of a well-preserved Council hall, called a bouleuterion which is reference to the Council of Citizens, which were called boule in the ancient years. 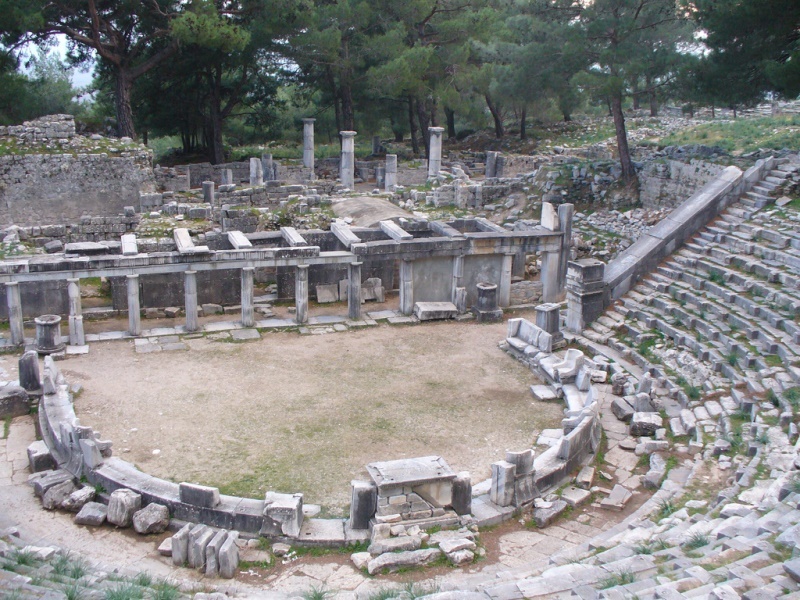 Built in the 2nd century BC, it featured an altar that was adorned with images of bulls’ heads and laurel leaves. 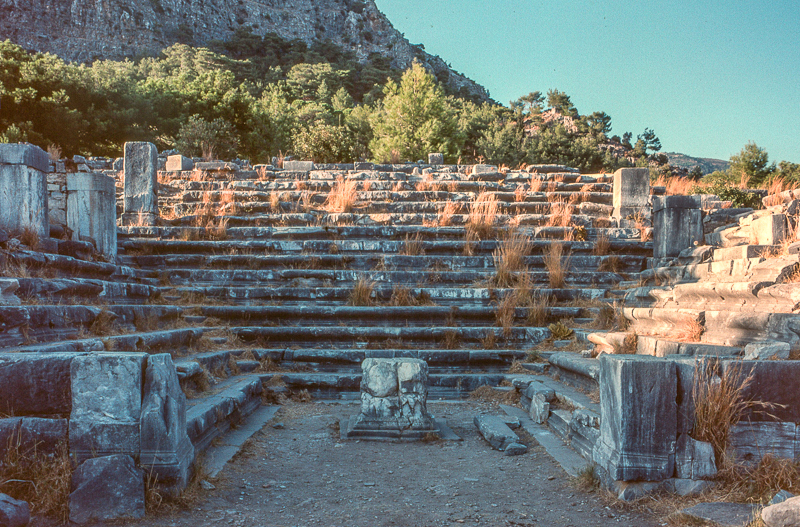 It has similar structures with that of ancient theaters as it was also used for entertainment purposes when there wasn’t a session being held. It had a seating capacity of 640 and the locals trooped to the bouleuterion once a year to elect their Council of Citizens. 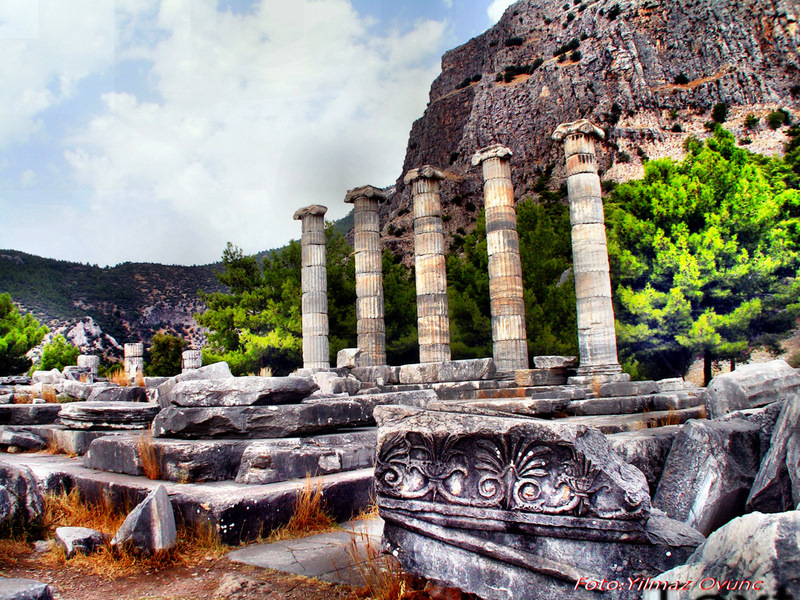 A trip to Priene should also combine the nearby ruins of Miletos and The Temple of Apollo in Didyma. 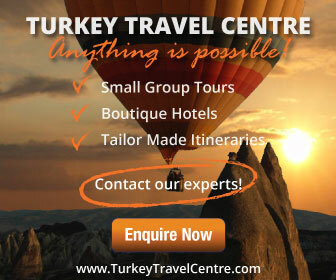 They are all within close distance to each other and can be easily reached using a car or on a guided tour. 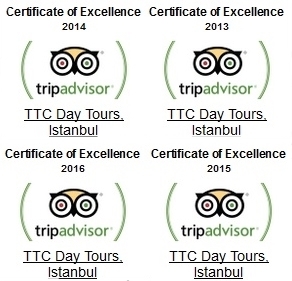 See all our tours of Turkey.